Raw juice therapy is a method for the treatment of disease through a diet that includes the juices of fruits and vegetables. It is the most effective way to restore health, rejuvenate and detoxify the body. To truly benefit from fruits and vegetables it is wise to purchase a minimum 900 watt electric blender, purée them all and drink immediately ensuring no loss of nutrients. Forget buying ready-made juices and 'smoothies' because the contents are full of preservatives, colours and various other unhealthy and artificial ingredients, many of which are necessary to allow for transportation and storage. Juices need to be consumed soon after being made as oxidation takes place and the nutrients dwindle fast. Most also contain huge amounts of sugar which completely defeats the object of consuming them. Plus, the most important part of many natural foods is the skins, as the best nutrients are often concentrate there, and these are often omitted in shop-bought juices. All vegetables and fruits begin to deteriorate as soon as you cut through the protective outer skin which means that most premade store bought juices and packed chopped fruits and vegetables are also of less value nutritionally. During raw juice therapy, the cleansing capacity of the organs of elimination, namely lungs, liver, kidneys and the skin is greatly increased and masses of accumulated metabolic waste and toxins are quickly removed. It also allows the digestive and associated organs to take a rest. After the juice fasting or raw juice therapy, the digestion of food and the utilisation of nutrients is vastly improved. Specific juices are beneficial for specific conditions but overall, raw fruit and vegetable juices have an extraordinary revitalising and rejuvenating effect on all the organs, glands and functions of the body. Live probiotic yoghurt can be added with honey, coconut milk, nutmeg and cinnamon for additional health benefits. Note 1: Always add avocado or a teaspoon of olive or coconut oil to the juices as many fat-soluble nutrients (vitamins A, D, E and K) will not be absorbed into the body without oil. Note 2: Do not replace all meals with a blended juice for longer than two days. It is important to consume whole foods too as a total liquid diet can lead to bladder, kidney and gallstones. Oxalic acid, found in cooked spinach, kale, cabbage and other foods listed in the Oxalic acid section, can block calcium absorption which can also lead to kidney stones, gall stones, thyroid problems and other conditions. When trying to lose weight, people often cut back on food intake whilst increasing their physical activities. Due to this, there is a danger of losing excessive amounts of water-soluble nutrients through perspiration, such as vitamins C and the B complex and important minerals, which they often fail to replace. This can lead to many health disorders including weakening of the immune system, slower repair of tissues, lack of energy, mental problems including anxiety, depression and insomnia, bone and joint issues and so on. This is because these nutrients are absolutely vital to many important processes within the body. 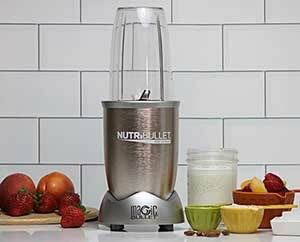 One of the fastest ways to lose weight, but still maintain nutrient levels, is to purchase a powerful (minimum 900 watt) Nutribullet blender which can puree fruit, herbs, vegetables, seeds and spices together. This can provide a highly nutritious and enjoyable way to consume the foods that will not only enable faster weight loss but also help the body cleanse itself of toxins. Think of it like your daily natural medicine in a long refreshing drink that is going to enhance your immune system and metabolism (and hence energy levels) and help to flush waste products from the blood, kidneys and liver. Raw juices of fruits and vegetables are extremely rich in vitamins, minerals, trace elements, enzymes and natural sugars. They exercise beneficial effect in normalising all the body functions. 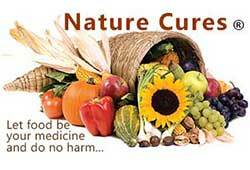 They supply needed elements for the body’s own healing activity and cell regeneration, thereby speeding the recovery. Raw juices are extremely rich in alkaline elements. This is highly beneficial in normalising acid-alkaline balance in the blood and tissues as there is over-acidity in most conditions of ill-health. Generous amounts of easily absorbed organic minerals in raw juices especially calcium, potassium and silicon help in restoring biochemical and mineral balance in the tissues and cells, thereby preventing premature ageing of cells and disease. Raw juices contain certain natural medicines, vegetal hormones and antibiotics. For instance, string beans are said to contain insulin-like substance. Certain hormones needed by the pancreas to produce insulin are present in cucumber and onion juices. Fresh juices of garlic, onions, radish and tomatoes contain antibiotic substances. Acidity : apple, avocado, banana, carrot, grape, pear, mosambi, orange and spinach. Acne : carrot, cucumber, grape, pear, plum, potato, radish, spinach and tomato. Allergies : apricot, beetroot, carrot, ginger, grape and spinach. Arteriosclerosis : apple, beetroot, blueberries, carrot, celery, grapefruit, ginger, grapes (black or red), pineapple, lemon, lettuce, pomegranate, spinach and watercress. Anaemia : apricot, banana, beetroot, carrot, celery, strawberry, spinach and watercress. Arthritis : apple (sour), avocado, beetroot, carrot, cherries (sour), cucumber, grapefruit, lemon, lettuce, papaya, pineapple, spinach and watercress. Asthma : apple, apricot, carrot, celery, lemon, pineapple, peach, radish and strawberry. Bronchitis and respiratory disorders : apple, apricot, carrot, kiwi fruit, lemon, onion, pineapple, peach, strawberry, spinach and tomato. Bladder and kidney disorders : apple, apricot, blueberries, carrot, celery, cranberry, cucumber, grapes, lemon, parsley and watercress. Colds : blackberries, carrot, celery, grapefruit, lemon, lime, kiwifruit, onion, orange, pineapple, radish, spinach, tangerine and watercress. Constipation : apple, banana, beetroot, carrot, ginger, grapes, lemon, pear, plums, spinach and watercress. Colitis : apple, apricot, pear, peach, pineapple, papaya, carrot, beetroot, cucumber and spinach. Cystitis : apple, apricot, blueberries, carrot, celery, cranberry, cucumber, ginger, grapes, lemon, onion, parsley, pineapple, radish and watercress. Diabetes : broccoli, cabbage, carrot, celery, citrus fruits, guava, lettuce, radish, spinach and watercress. Diarrhoea : avocado, carrot, celery, lemon, papaya and pineapple. Digestive disorders: apple, avocado, banana, carrot, ginger, grape, pear, mosambi, orange and spinach. Eczema : avocado, beetroot, blueberries, carrot, cucumber, grapes (black or red), spinach and watercress. Epilepsy : carrot, celery, coriander, grape (red or black), spinach and watercress. Eye disorders : apricot, avocado, bilberries, blackberries, blueberries, carrot, celery, cranberries, parsley, raspberries, spinach, strawberries, tomato and watercress. Gout : beetroot, carrot, celery, cherries (sour), cucumber, pineapple, tomato and watercress. Halitosis : apple, carrot, celery, grapefruit, lemon, parsley, pineapple, spinach and tomato. Haemorrhoids : carrot, lemon, orange, papaya, pineapple, spinach, turnip and watercress. Headache and migraine : avocado, carrot, cherries (sour), coriander, grapes, lemon, lettuce, papaya, pineapple, spinach and watercress. Heart disease : apple, banana, beetroot, carrot, cucumber, ginger, grapes (black or red), lemon, pomegranate, spinach and watercress. High blood pressure : banana, beetroot, carrot, cucumber, ginger, grapes, orange and watercress. Influenza : apricot, blackberries, carrot, ginger, grapefruit, lemon, onion, orange, pineapple, radish, spinach and watercress. Insomnia : apple, banana, carrot, celery, cherries (sour), coriander, grapes, lemon, lettuce and tomato. Jaundice and liver disorders : beetroot, carrot, cranberry, cucumber, ginger, grapes, lemon, papaya, pear, radish, spinach and tomato. Menstrual disorders : beetroot, cherries (sour), ginger, grapes, lettuce, plums, spinach, turnips and watercress. Menopausal symptoms : apricot, banana, beetroot, carrot, celery, grape (black or red), lemon, papaya, plum, spinach, strawberry, tomato and watercress. Neuritis : apple, avocado, beetroot, blueberries, carrot, orange, papaya, pineapple, radish and watercress. Obesity : apple, beetroot, cabbage, carrot, celery, grapefruit, lemon, lettuce, orange, pineapple, papaya, radish, spinach, tangerine, tomato and watercress. Pleurisy : apple, carrot, cranberry, grapes, lemon, lime, onion, orange, papaya, pineapple, radish, spinach, strawberry, tangerine and tomato. Pneumonia : apple, avocado, kiwifruit, orange, mosambi, papaya, pineapple, garlic, radish, grapes, carrots, tangerine and tomatoes. Prostate problems : apple, apricot, blueberries, lemon, carrot, celery, cranberry, cucumber, parsley, watercress, asparagus, lettuce and spinach. Psoriasis : apple, apricot, beetroot, carrot, cucumber, grapes, lemon and watercress. Rheumatism : beetroot, carrot, cherries (sour), cucumber, grapefruit, grapes, lemon, orange, papaya, pineapple, spinach, tomato and watercress. Stomach ulcers : apricot, avocado, cabbage, carrot and grapes. Sinus disorders : apricot, carrot, ginger, lemon, onion, radish and tomato. Sore throat : apricot, carrot, ginger, grapes, lemon, parsley, pineapple, plums and tomato. Tonsillitis : apricot, carrot, lemon, ginger, grapefruit, orange, pineapple, radish, spinach and watercress. Varicose veins : beetroot, carrot, ginger, grapes, orange, plum, radish, tomato, turnips and watercress. Goitrogens, found most commonly in cruciferous (brassica) vegetables can affect thyroid function in some individuals. If you do not currently have thyroid issues and follow healthy eating habits by rotating greens this should not be an issue. (i) Juices from sweet fruits such as prunes, raisins and grapes. (iii) Juices from acid fruits like orange, tangerines, lemon, grapefruit, strawberry and pineapple. (iv) Juices from vegetable fruits, namely, tomato and cucumber. (v) Juices from green leafy vegetables like cabbage, celery, lettuce, spinach, parsley and watercress. (vi) Juices from root vegetables like beetroot, carrot, onion, potato and radish. Generally speaking, fruit juices stir up toxins and acids in the body, thereby stimulating the eliminative processes. Vegetable juices, on the other hand, soothe the jaded nerves and work in a much milder manner. They carry away toxic matter in a gentle way. A proper selection of juices in treating a particular ailment is very essential. Thus, for instance, juices of carrot, cucumber, cabbage and other vegetables are very valuable in asthma, arthritis and skin disease, but juices of orange and mosambi aggravate their symptoms by increasing the amount of mucus. To maximize nutritious benefits, use the freshest ingredients available, ideally picked just before use and consumed immediately after blending. Cartons, tins and frozen juices should not be used. Make sure you wash all fruits, herbs and vegetables thoroughly and, where possible, buy organic for the greatest benefit ands to avoid pesticide residues. If juices are too sweet water can be added on a 50 : 50 basis or mixed with other less sweet juices. This is especially important in some specific conditions such as arthritis, diabetes, high blood pressure or hypoglycaemia. Very thick hard peels must be removed before blending but there is no need to remove edible soft peels on apples, pears and other similar fruits. Orange, tangerine and lemon peel is full of nutrients and should be included. Apple cider vinegar has amazing medicinal properties and can also be added to juices as can coconut water and/or honey, if the juice is too sour. Add mineral water and ice to thin the juices to desired consistency. Adding a cold glass of green or herbal tea instead of water provides even more nutritious benefit. Live probiotic yoghurt or coconut milk can also be added to juices to make a creamy smoothie. Adding Himalayan pink salt crystals, unrefined sea salt and black pepper can provide more nutrients and minerals as well as taste. Dark green leafy vegetable juices are highly beneficial because of their chlorophyll and high antioxidant content, green vegetable juices are more effective at eliminating toxic waste compounds out of the body. With the addition of herbs and spices known to enhance the detoxifying process. Raw juices act as a cleansing agent and start eliminating toxins and morbid matter from the system immediately. This often results in symptoms such as pain in the abdomen, diarrhoea, loss of weight, headache, fever, weakness, sleeplessness and bad breath. These reactions, which are part of the cleansing process, should not be suppressed by the use of drugs. They will cease when the body has expelled all toxins. Apples, algae and seaweed, cucumber, grapes, green beans, celery, kiwi fruit, leafy vegetables, limes, pears, peas and peppers (green). Apples, beetroot, berries, cherries, currants, grapes, pears, peppers (red), plums, radishes, tomatoes and watermelon. Apricots (dried), bananas, dates, figs, raisins and sultanas. Note: Diabetics should avoid these high-sugar fruits. Dried powders and spices can also be added which makes a very quick and simple way to add those ‘super foods’ to the diet. For the green juice: Dried algae such as chlorella and spirulina and full of minerals and other important nutrients. For the blue/black juice: Maqui powder is a purple dried fruit powder that has one of the highest anti-oxidant content of all foods. Raw juices are also a great way to break down the (often false) barriers between culinary and medicinal herbs, by bringing highly nutritional natural plants and herbs into the diet. Add any spices or herbs of choice but only add two or three strong flavours at a time. Turmeric (powerful antibiotic, anti-inflammatory and antiviral properties, blood thinner and can help to treat arthritis, bloody urine, cancer, colic, cystic fibrosis, depression, flatulence, haemorrhage, inflammatory bowel disease (IBD), jaundice and other liver disorders, joint problems, menstrual difficulties, neurological disorders, prostate problems, toothache and ulcerative colitis. NOTE: Due to the high levels of estragole in herbs such as basil, fennel, star anise and tarragon, they should not be used as a medicine for more than 10 days and should be avoided by pregnant women. 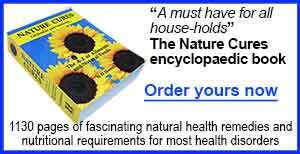 To find out the many other herbs can be added for various health disorders see The A-Z of herbs and spices. Adding nuts and seeds can also be very beneficial due to the minerals, omega-3, protein and vitamin E content and these can also be ground into a fine powder in a coffee grinder first to make a smoother drink. A warm glass of water mixed with lemon juice, one teaspoon of honey, a dash of apple cider vinegar plus a small pinch of cayenne pepper may be taken first thing in the morning before consuming anything else to aid with a toxin cleanse. Top up your blends with mineral water, ice, cold green or herbal teas or coconut water or make them creamy with yoghurt or almond, coconut or rice milk after adding the ingredients of the following recipes. If too sour add one teaspoon of raw honey. If too sweet add half a lemon. Consume the following blends three times a day for maximum benefit unless otherwise stated. When the body is dehydrated, especially after intense exercise, diarrhoea, fever or alcohol consumption, this juice can fix it quickly and help rebalance electrolytes.. Pinch of Himalayan pink salt crystals or unrefined sea salt. This can lower the LDL cholesterol levels, thin the blood and reduce plaque on the arteries. To detoxify the liver drink this juice daily first thing in the morning. This green power blend is rich in chlorophyll, which helps support the digestive tract and promote healthy intestinal function. This action is supported by both oregano and basil. Dandelion leaves, spinach and courgette stimulate the kidney function, carrot nourishes the liver. All of the ingredients have cleansing and rejuvenating action. Avocado helps the absorption of the fat-soluble carotenoids in carrots. Full of vitamin C and iron for healthy blood. Beetroots possess betacyanin which gives them their deep red colour and provides the essential ingredient which can assist the body with recovery from many ailments. It stops the spread of cancer tumours, prevents diseases of liver, kidney and pancreas and treats ulcers in the stomach. It also strengthens the immune system, improves the vision and is good for eye redness treatment. It can also help to reduce pain after intense physical training, eliminate hard stools, positively affects the colon, strengthens the lungs, regulates high blood pressure, eliminates bad breath which occurs due to indigestion of food, helps treat acne and creates healthy skin and reduces menstrual pain. Rich in iron, vitamin B9 (folic acid), vitamin C, Vitamin E and magnesium. Aloe boosts the immune system, reduces inflammation, improves skin health, stabilises blood sugar levels in diabetics, lowers LDL cholesterol and triglycerides and amplifies the antioxidant effects of vitamins. This is also a great juice for the relief of heartburn and for vegans as it contains vitamin B12. Aloe vera gel can cause a loose stool so should be increased gradually from one inch to two inches over a period of a few days. The aloe gel can be scrape from the leaf after peeling the outer layer of skin. To help burn fat, detoxify and clean the urinary system. NOTE: Avoid grapefruit if taking ‘Statins’ to lower cholesterol or medications for blood pressure and some other medications as it can interact. For the relief of constipation. Kale a rich source of carotene, indoles, vitamin A, vitamin C, the B vitamins, vitamin K, calcium, iron and together with the other ingredients can prevent heart, colon and prostate disorders. The high magnesium content in spinach, and the nerve-calming properties in celery helps to improve sleep quality if consumed just before bed. The monounsaturated fat in avocado helps absorption of the fat-soluble and cancer fighting carotenoid lycopene in tomatoes making it four times as effective. Other sources of lycopene that can be added. This juice will purify the body and relax the mind. Wheat grass is traditional ingredient for serious detoxification and rejuvenating regimes. 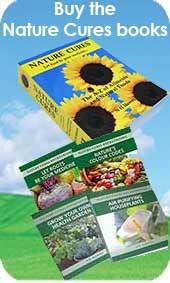 It is well worth growing your own wheat grass sprouts but the web has plenty of suppliers of organic wheat grass and wheat grass seed suppliers. Dandelion supports toxin elimination through increased urination and fennel through stimulating the lung function and clearing the phlegm. Thread like fennel leaves also enhance the sweet flavour provided by the wheat grass. Lemon balm and perfumed rose petals relax the mind sharpen ability to think and soothe the heart. Use scissors to cut the wheatgrass blades from the tray just above the planting surface. Remove the petals from the rose heads. Wash and drip-dry the herbs. NOTE: Anyone suffering from a serious medical condition or on medication or pregnant should not attempt raw juice therapy without consulting their doctor.